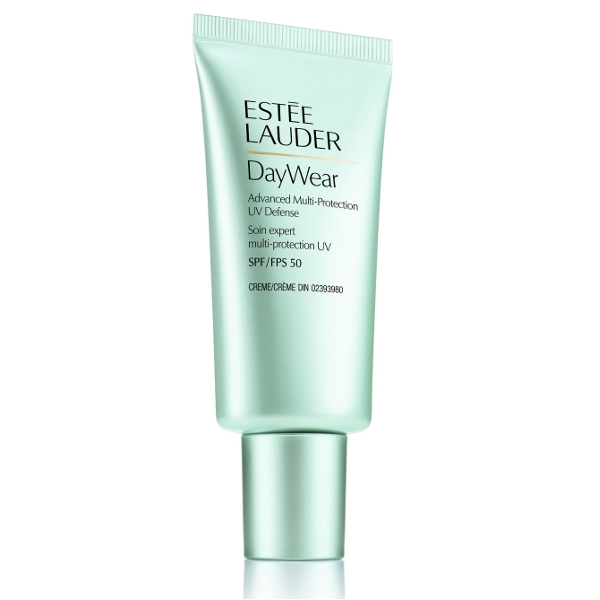 Estée Lauder's new DayWear Advanced Multi-Protection UV Defense SPF 50 ($45, available at Estée Lauder counters) is the skincare equivalent of dark wash skinny jeans: a good basic to have in your routine and pretty much goes with everything. Fancy name aside, this product is essentially a very effective sunscreen. The active ingredients are chemical sunscreens, not mineral, so regular re-application is a must. But the high SPF and super anti-oxidant complex protect skin from the sun's rays and free radicals, while glycerin and hyaluronic acid hydrate. The untinted, lotion-y formula goes on with minimal greasiness and smells like cucumber. I personally like wearing it under an oil-controlling, SPF-free BB cream for matte coverage on weekdays. On weekends, if I'm feeling really lazy, I'll wear this with just a light dusting of colour correcting powder on top and some mascara. Like I said, it's a good basic to have.